Boca Dunes Golf and Country Club located in Boca Raton Florida was found in VIOLATION for REFILLING LIQUOR BOTTLES. The Golf Country Club, a popular spot in Palm Beach County for weddings, was assessed a CIVIL PENALTY on July 19, 2017 by The Florida Alcoholic Beverages and Tobacco Division. Refilling Liquor Bottles is a serious offense both for public health and for violating the trust of customers. Refilling liquor is illegal. Refilled liquor bottles may be filled with a brand other than stated on the bottle, watered down, or filled with fake alcohol. For example, a customer that orders and pays for a premium vodka drink might be served a lower grade brand or worse an adulterated alcoholic liquid in the brand name bottle. Boca Dunes Golf and Country Club is a popular wedding caterer. When a bride and groom pay for an ‘open bar’ option in their catering package they should search to make sure the wedding venue and caterer have not had alcohol violations in the past and is a reputable venue. Since weddings held at Boca Dunes or any other wedding venue typically have guests from out of town, or out of state, the event is a single day or night it is easier for unscrupulous owners to take advantage of the bride and groom and their guests, increasing profit margins by serving refilled liquor bottles. The summary of the Boca Dunes Golf Country Club Liquor Violation is available on the gallery image. To report any Liquor Violations in Florida or further tips regarding the Boca Dunes Golf County Club alcohol violation use the secure anonymous form or call (833) SAFE-TIP. 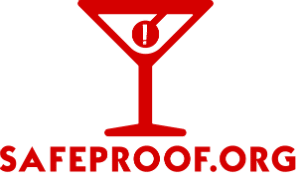 SafeProof.org mission is to raise awareness for Fake Alcohol and to keep you and your drinks safe.